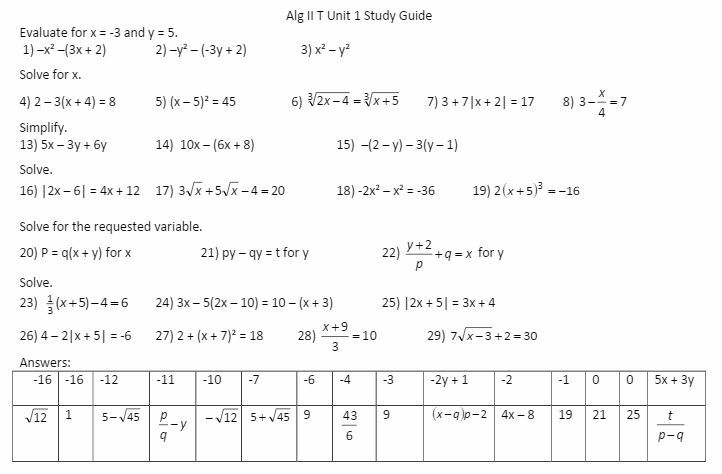 Alg II Files: Equations Grab Bag! On September 12 of last year I posted about the first half of first unit of my Algebra II course redesign with the cliffhanger of “more to come later.” And technically, today is later! To catch up: I tried pivoting Alg II a la Jonathon, but I’m not as awesome as he is at this long-term-everything-connects thinking so basically I just redid the first semester order. These are the materials I used for the first chapter, solving equations. I REALLY liked putting all of the equations together into an equations grab bag. I wish I would have slowed down here and spent more time on inverses and flowcharts. (Also see Julie’s better take on this). Also also, here is the google doc I use to post all of my notes and homework for the students. It may also be helpful to you for planning. (File here). Now should probably be the time I mention that I tried really hard to correct typos/mathos as I found them, but don’t be surprised if there’s still a few here and there. Please let me know if you find any so I can correct the file! Then it’s time for powers! (file here) I especially liked having square roots and cube roots together so we could discuss when we did or did not need two answers. Also look at that #10 just begging to be brought up again if you want to use completing the square to solve quadratics! And if you’re going to talk about powers, you should probably talk about roots! (file) What’s that you say? This would have been a perfect time to bring in some radical equations that didn’t work, and you could tie it in to yesterday? That sounds like a great idea. But remember I had a wide range of abilities and this was still the first month of school. Sometimes you have to pick your battles. We played a round of group speed dating, which you can read about (and get the file for) here. (file) While I still have some blogging mojo left, I’m going to try to get another unit up today!